Let’s start this new week with some friendly faces! 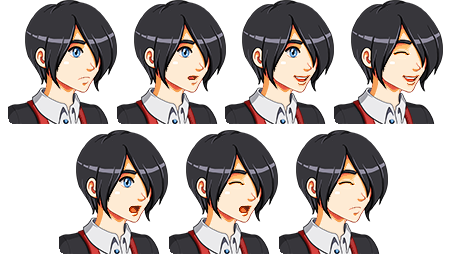 As memory orb progress is coming along, it’s time for a whole bunch of expressions for the main trio featured in one or a few of them, who so far only have one portrait expression. 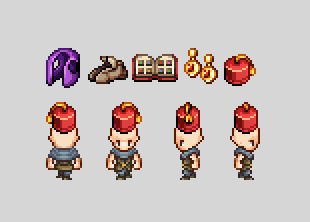 Now, out of nowhere, a new NPC for the desert appears! 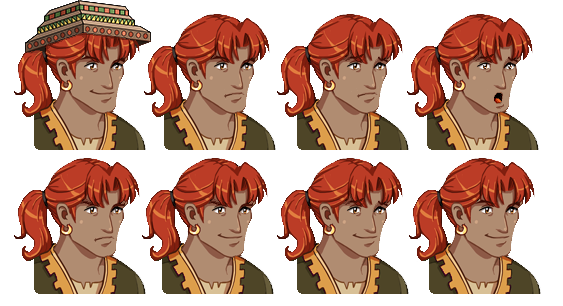 A long time ago, Fred secretly made an animation for a Merchant Isle NPC working in the docks, and now that I found it it’s of course time to make a portrait for him! Next, the second to last card! This time a Solem, making a little sand castle in the dunes. Such a peaceful sight! Maybe he’s just angry you’re stepping all over the sand he uses for his castles? 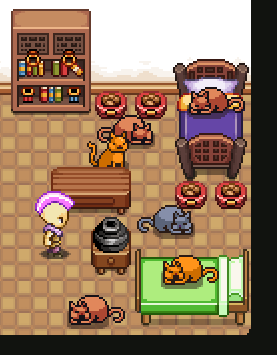 And now, time for some combined bug testing with story developing and writing! Today I’ve taken some time to play through the entirety of the desert as well as Port Monnaie, finding areas to add flavor text through the magnifying glass-mechanic used here and there throughout the game. 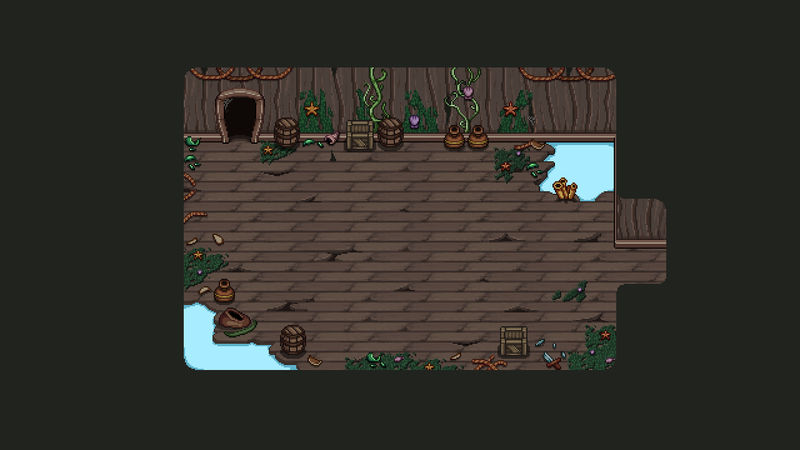 As I’ve mentioned before, we’re keen on making the world of Grindea seem a vast and lively place, and one part of doing so is adding optional things to examine that might give you a tiny bit of flavor in terms of added information or simple commentary on what you see in the world. In order to do this, I’ve played through each of the areas as we’ve finished them, writing down snippets here and there for things you can examine. Because it’s such a low priority thing, it hasn’t really been added to the game yet, though – at first it was something we neglected, and then as things progressed we thought it would be weird to suddenly start adding a ton of ‘inspectable’ (is that a word? haha!) things in the middle of the game without having added the previous ones, but adding all of the previous ones would take so long it simply isn’t a high enough priority at the moment (we want to finish the game, after all). For now, it seems unlikely we’ll add these until the game is more or less done, when they will be one of the final things we add before the proper release (along with the bonus side quests and stuff we want to add in a true polish stage). Even so, it’s a nice opportunity to play through an area after completion and look at the world in a different light, where you try to imagine yourself in the role of someone exploring the game for the first time, trying to see what items might be interesting enough for closer examination. Speaking of the future polish stage, I thought it’s time to take a look at what’s ahead of us. We’re actually very close to the end, believe it or not (though “very close” in this case likely means dev time for quite a while yet). 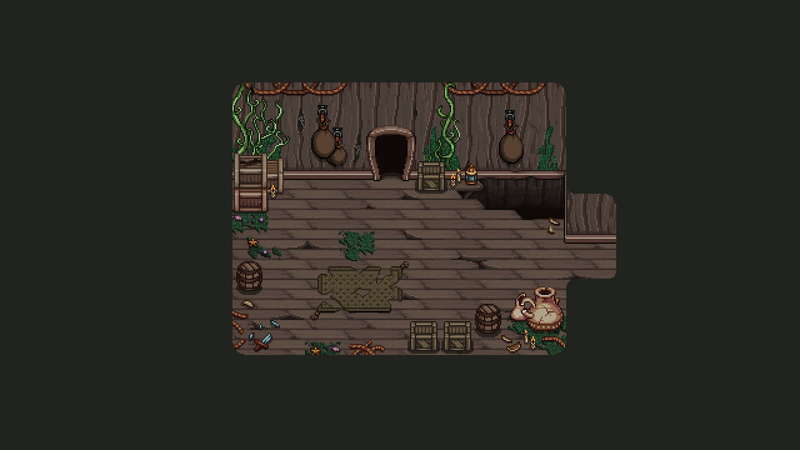 In terms of what we have left story wise, we’re talking one more regular dungeon (the ghost ship, which you’ve already seen a bit of), and then a special dungeon to tie it all together: a dungeon that will be a combination of all the previous dungeons made into one. Our ideas for the final dungeon are varied, but one of the key parts is that we will be reusing previous enemies, but add a twist: they will be improved versions, not only stronger but likely also having one or more new attacks. 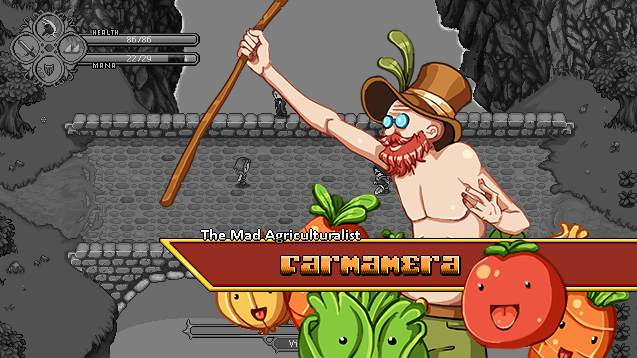 There will also be mixed enemies from various parts of the game. But what about after this final dungeon, what then? As you know if you’ve been following this blog, we’ve talked a lot about adding things to each part of the game before we actually call it a day and release it as 1.0. That of course entrails more sidequests and the added story scenes I’ve been talking about before, but our “wishlist” for what we’d love to add is huge and it will probably be impossible to add everything – but one can hope. We’d like to have more dialogues and other such things about the ‘gaming’ aspect of the world. 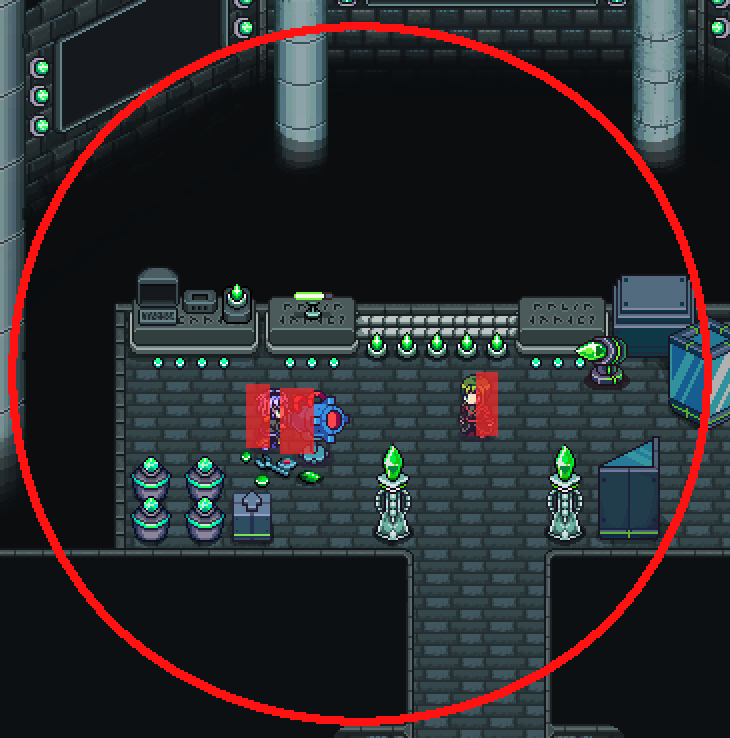 In certain areas there’s already parts where scientists have investigated things such as card drops and the science behind some things in the game, but we’d like to add even more. We’re talking things such as people talking about them having leveled up or unlocked new skills, someone talking about a rare drop they found, people commenting on how OP some combos are, and so on. 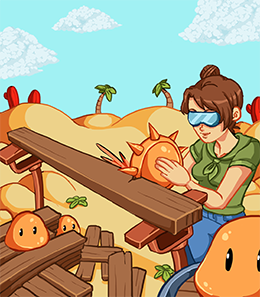 We’d like to add Collector NPCs out in the fields as well – it can feel kind of empty right now, and it’d be cool to see Collectors out there doing what they do best: collecting things! Lots of more arena challenges , including PVP. 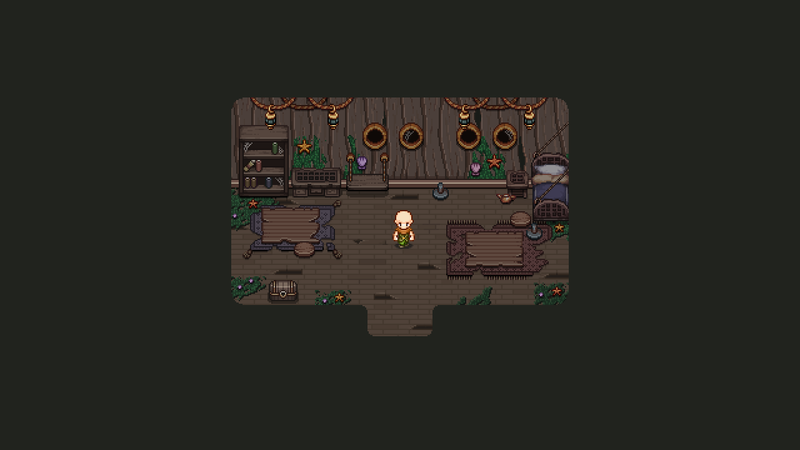 More mini-games and other optional content, such as a quiz-like thing in the library (which also needs to get implemented, of course), a tower of block puzzles near Mount Bloom (you’ve probably already seen the exterior of the building). Some kind of mechanic that gives you a Collector rank based on how many items you have, or something similar – basically give collecting some meaning! Right now the whole Collector thing isn’t really used much mechanics wise (or even story wise), and we’d like to improve on that. 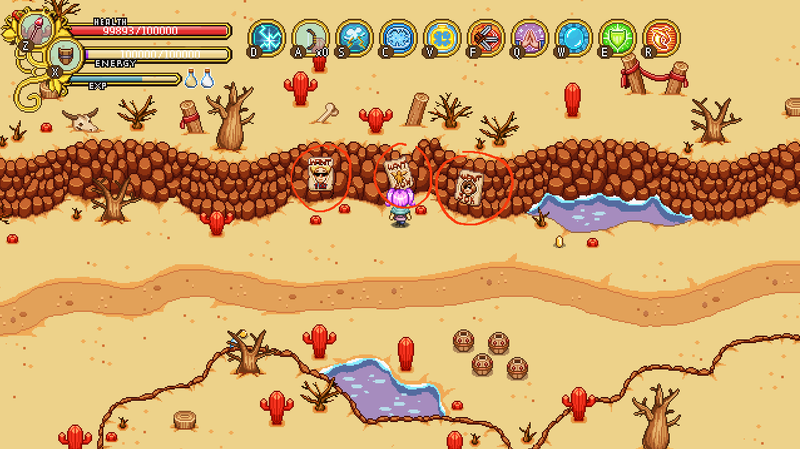 Once again, thanks for all the feedback surrounding the desert patch! 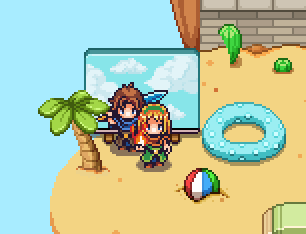 Now it’s a new week with new adventures, and for now we’ll focus more on upcoming stuff! 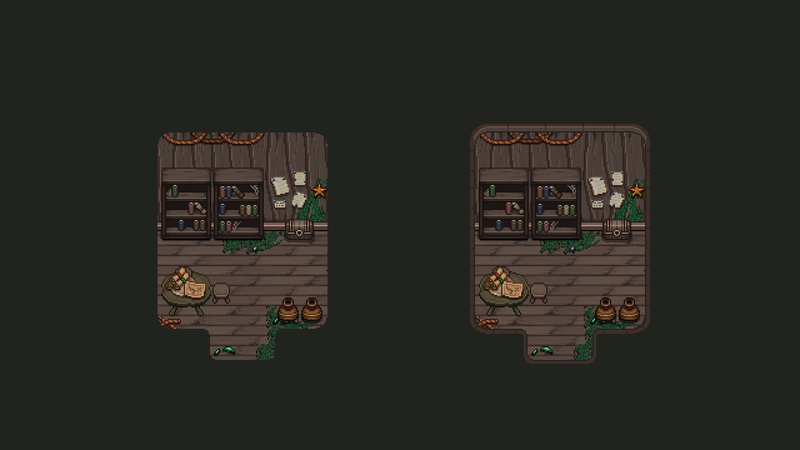 So while the actual room-by-room design of the upper floors of the ghost ship haven’t been decided, we know what types of rooms we want, and one such room is the cabin. Or cabins, really. 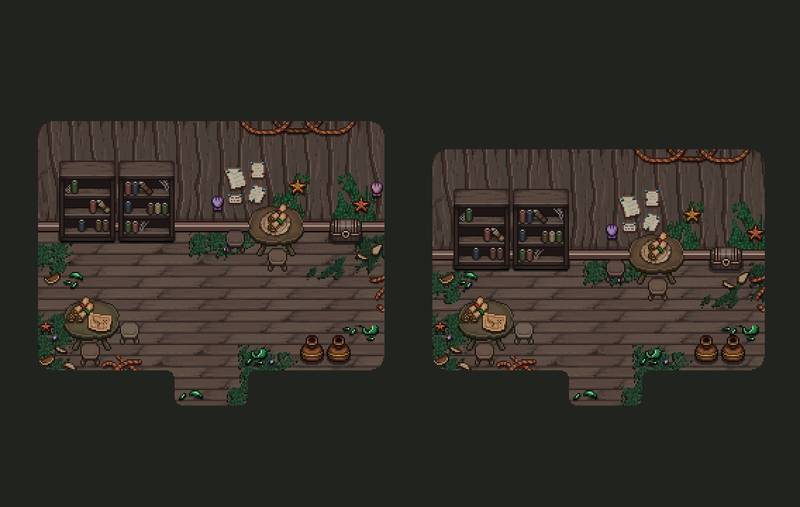 We’d like the player to battle their way through a set of cabins on the second or third floor, so naturally we need to make a bunch of items that can be seen in these cabins. 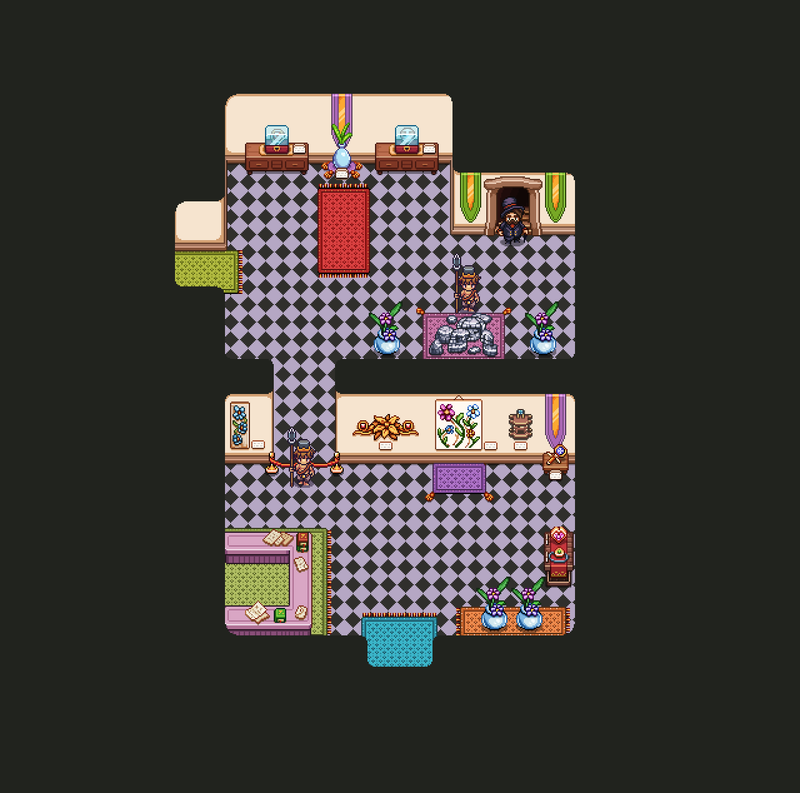 As such, I made a random design of what one such room could look like, and made a bunch of random props to put in it. Next, another portrait from past times: this time featuring young dad!! At this time in his life, he recently got accepted as a Collector after passing the trials, along with Charlotte (your mom) and Ivy, who went on to become the grandmaster of the Collectors. And now, what I believe to be the last in a series of the younger version portraits: Ivy, from a time before she became the leader for the Collectors! 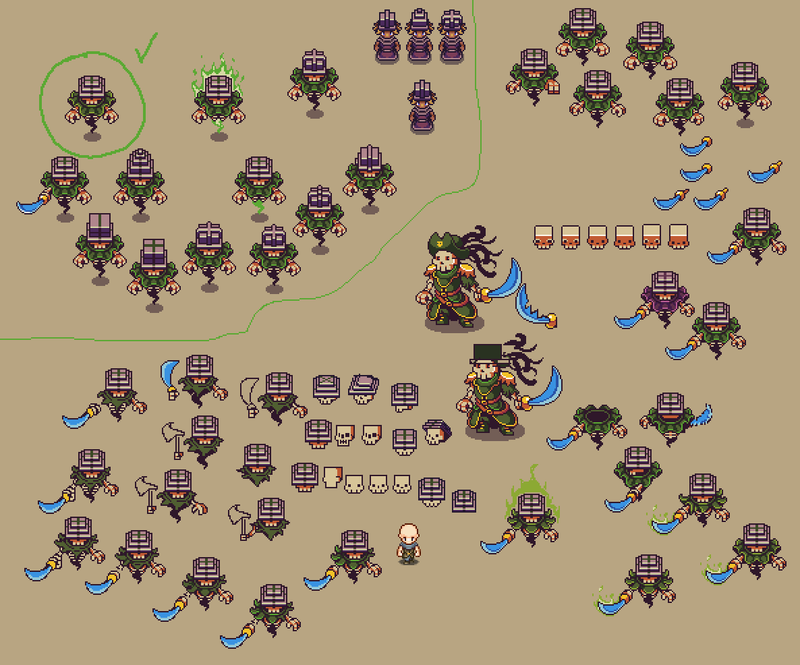 Meanwhile, after having made a ton of NPCs for the desert, it’s finally time for Fred to start working on the Ghost Ship enemies!! The first enemy he’s making is a skeleton ghost, which will come in two versions: one that wields a sword, and one that uses magic to buff and debuff the surrounding players and enemies! As usual, he’s made a lot of sketches featuring different versions of the enemy below (starting with the sword-wielding one), with the one in the green circle representing the one he’s decided to work with for the first couple of animations. Exciting times! Can’t wait to start prototyping and testing these guys out, it’s gonna be so nice to move on to a different area after so many months working on the desert! As always, it’s great to be an indie dev cause as soon as you get tired of one thing, everything changes and you need to start working on something else! Finally the patch is up and running on Frontline! 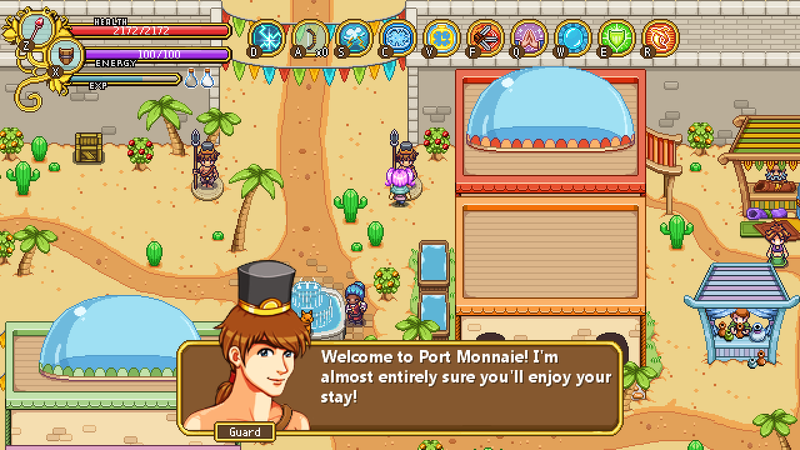 After months of hard work, this update includes the desert Dragonbone Dunes and desert town Port Monnaie in all its glory, with a ton of new NPCs (the most NPC heavy area yet! ), the continuation of the main quest, a bunch of side quests and a couple of boss battles! As you might guess, there’s a lot of things that can go wrong when adding this amount of stuff at once, so even though the patch has been out for a while already and a lot of bugs have been fixed, you should be prepared to do some bug hunting and let us hear about all the wonky and broken things! As always, all feedback is highly encouraged and much appreciated, so let us hear what you think when you’ve finished this installment. You can leave a comment here, on our forums, or make a topic over at the Steam forums! 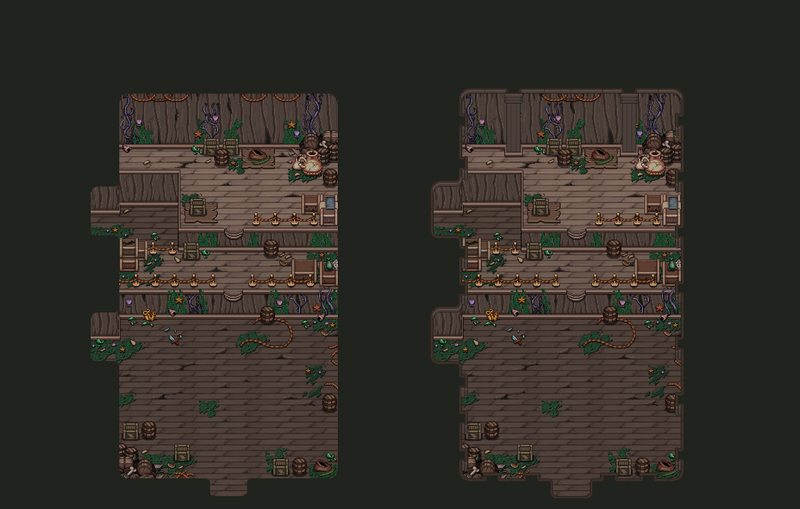 Now we set our eyes on the next target: getting it all ready for stable! Aside from the bug fixes and some of your suggested improvements (as always, we’re very thankful for the feedback), there are a few things we’d like to add before feeling completely satisfied with the desert for now. 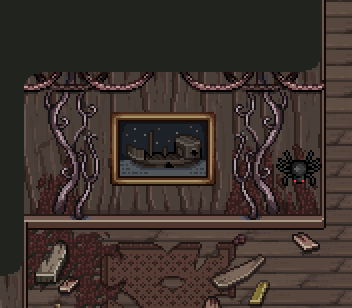 There are two reasons for this, one being the obvious ‘of course the area will be better with more quests’, but the other is that it gives Fred (and to some extent, me) some time to get ahead with the Ghost Ship before we start prototyping that place for real. 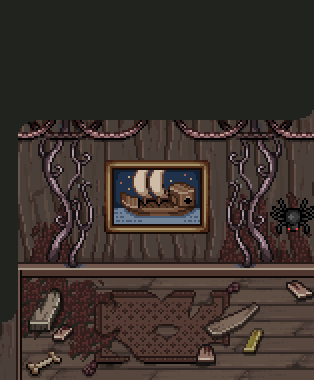 You see, in order to get an idea of what the Ghost Ship will entail design wise, we need to get some enemy prototypes up and running, and the best way of doing that is to have Fred make a bunch of animated sketches we can use against my placeholder backgrounds. 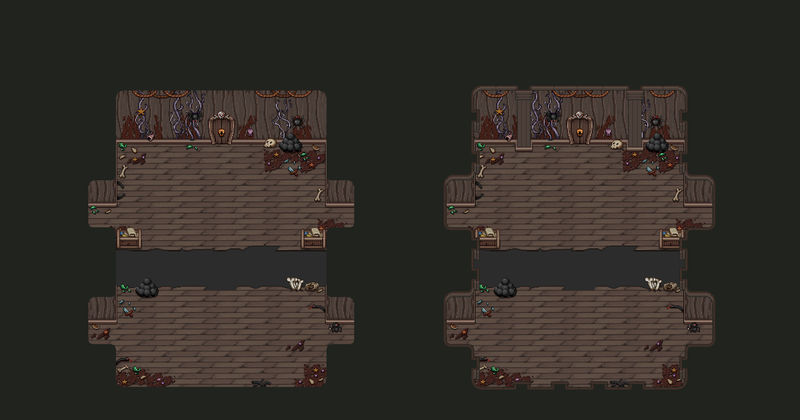 This will help us get a feel for the dungeon and to make sure our enemy combinations work as intended. 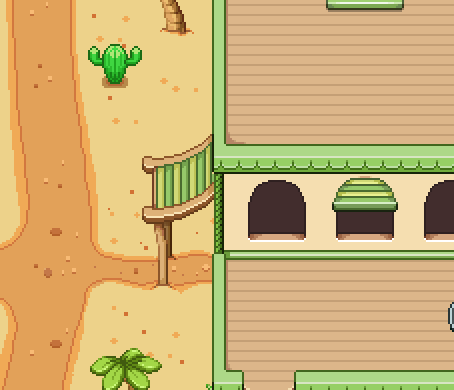 Therefore, the things we’ll add to the desert for stable mainly involves Teddy programming stuff, and me throwing together some minor graphics such as more item sprites for rewards and such. Once we’re done with that, Fred should have made enough enemy sketches that Teddy can begin prototyping their behavior, and I can continue making backgrounds while he does that. * Another (optional) challenge in the math cave. 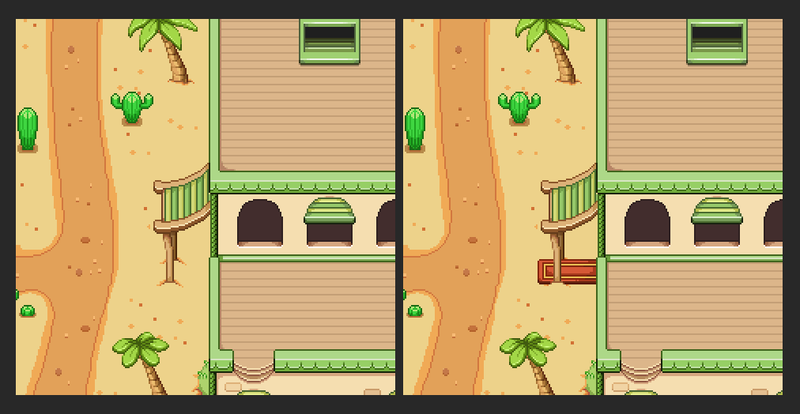 * A side quest solving the troubles of the depressed drunkard in the Saloon (which also involves elite versions of the desert enemies, which haven’t been added thus far)! * A questline with the photographer Cammy, who is working in Port Monnaie, using the mechanics from Arcadia where you take photographs of various places or things in the game. 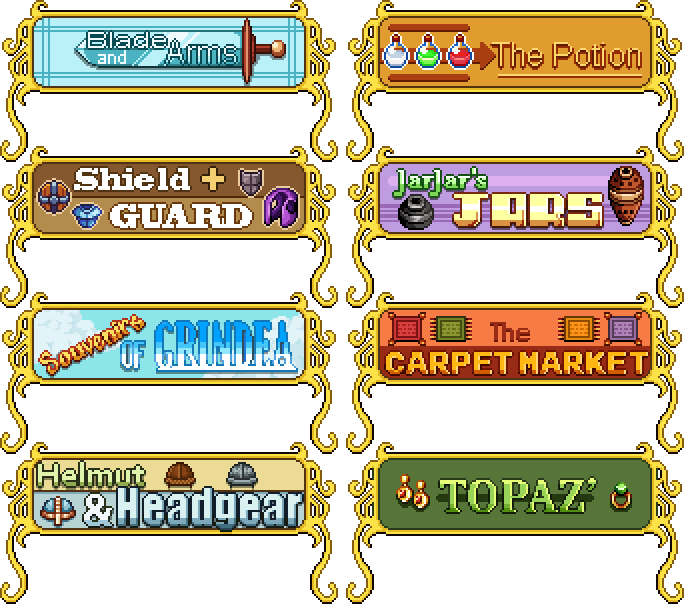 * Each shop in the marketplace, with new items to buy (lots of housing items)! * More treasure maps, which will be given to you by Finder the Archaeologist, who wants your help in retrieving some ancient treasures. 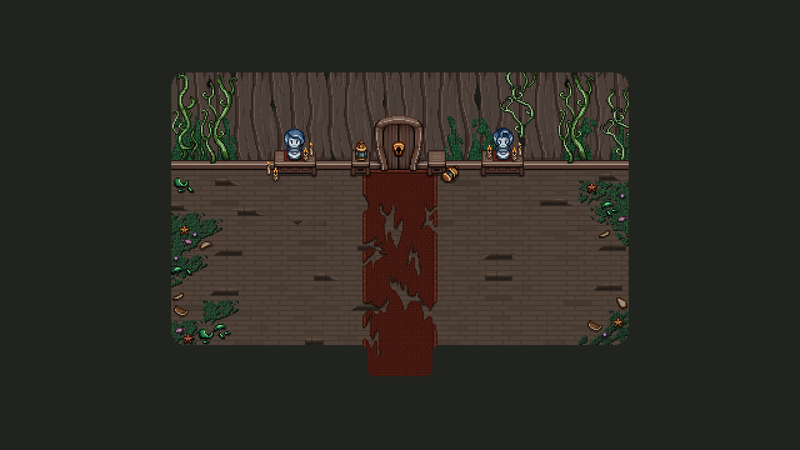 Like the other areas, more stuff will be added before release, but we think this is a good way to start. It’s also possible we’ll add a bunch of those season orbs across the world, which will help you reach a few of those chests that have been taunting you… We’ll see! 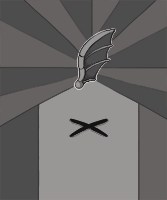 First though, there are still some cards to make, so here we have the Cacute card! Quite simple in its design, it features a Cacute relaxing in the sun with a drink. Remember to drink a lot when it’s hot outside (I recommend water, though)! There’s also this portrait of another character that will appear in Port Monnaie but may not make it into the stable patch (we’ll see): an boy, who will help the priest out in the church! His outfit, like the priest’s, is inspired by real life priest robes. 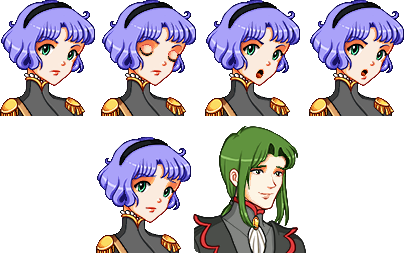 Now, back to those flashback crystals/memory orbs where you’ll get to see certain events from the past… A few of these will include Charlotte, the player character’s mother, and because these events happen quite a few years ago, I got to make a younger version of her, which was super fun! 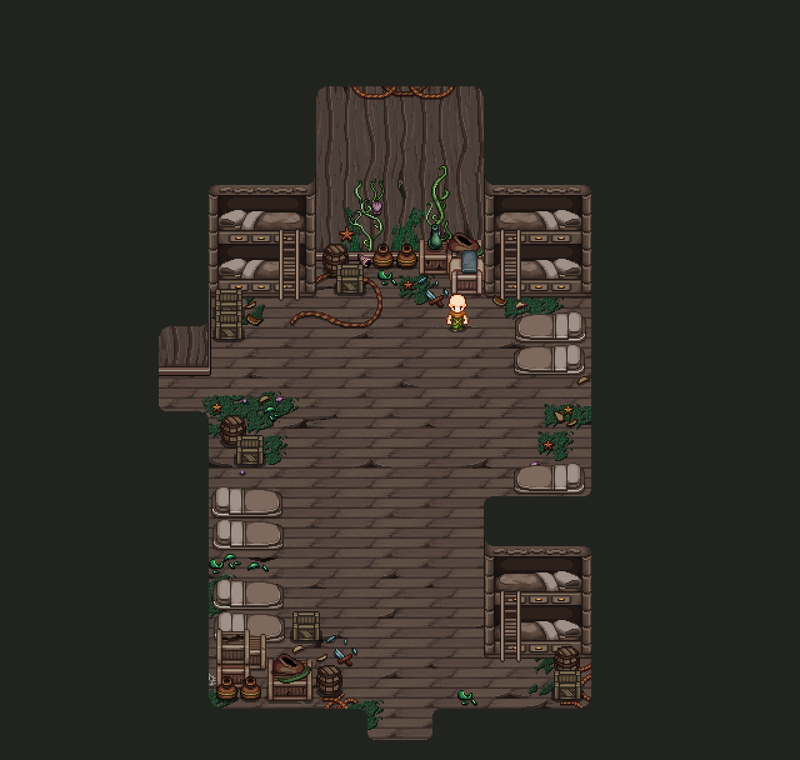 Moving on to lesser priority NPCs that may or may not make it into the patch, we have a priest that will be available in the church in Port Monnaie! In the beginning we wanted the church to belong to Bishop, but in the end we decided to leave him in the desert instead, letting this church be a remnant of the ancient religion you saw once in the past of Tai Ming instead. 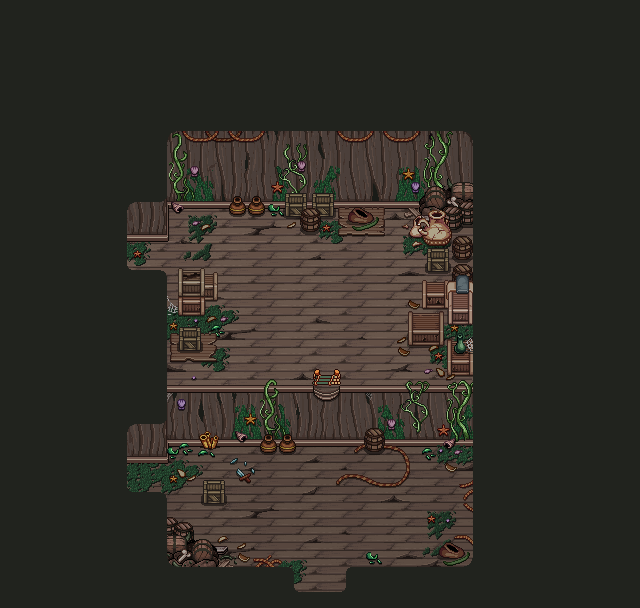 As for the Ghost Ship, since I made the only two rooms for the first floor that I can make before prototypes of the rest have been made, I’ve decided to move on to do things for the second and third floor instead. While the design of these floors haven’t been properly established, there are a bunch of rooms we know we want to include. 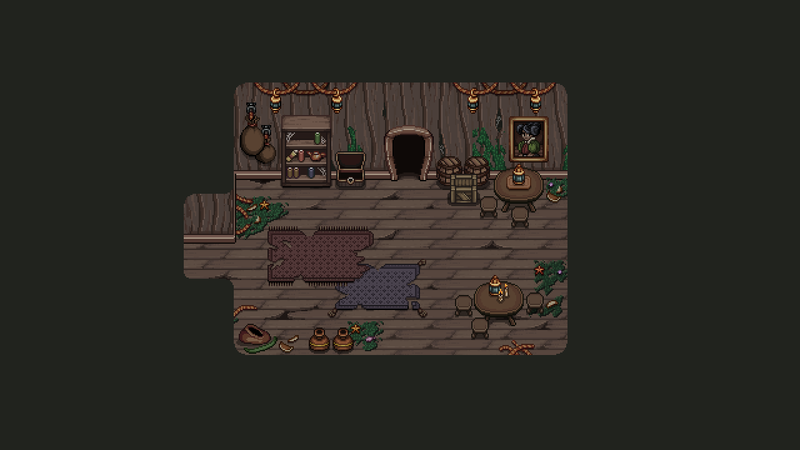 One such room is a kitchen, so in preparations for making the room, I’ve spent some time making a ton of props for the room. 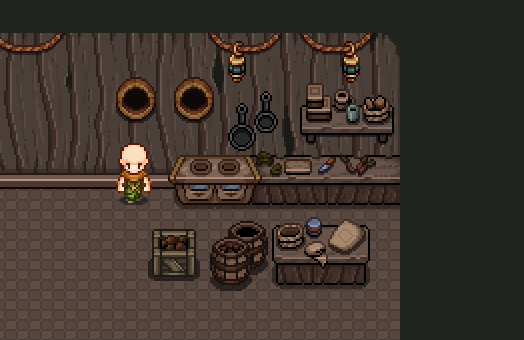 Perhaps not all of these will be used, and perhaps I’ll need to make some more once we actually design the room, but this is a good base to have – and in worst case, I’m sure we’ll be able to use some of these props in other parts of the ship (or, in other parts of the world)! 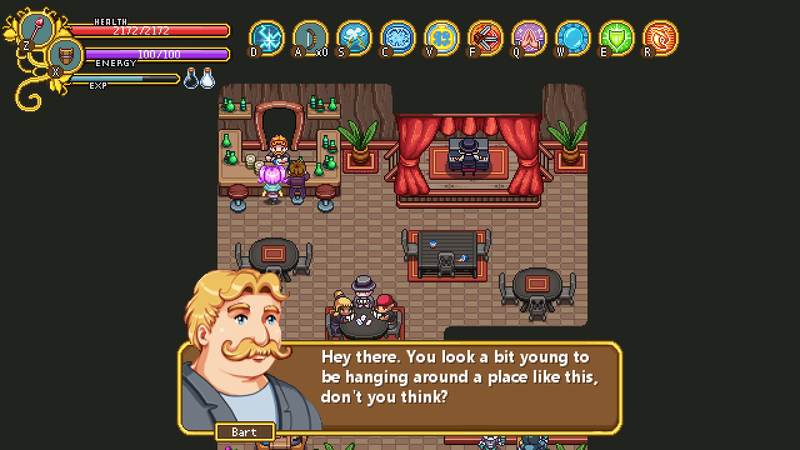 Now, this week is rather portrait heavy, as more last minute characters are added! This boy is a receptionist in a building where the mayor’s husband exhibits his expensive collection of ancient findings – some which originate from the ancient Tai Ming! 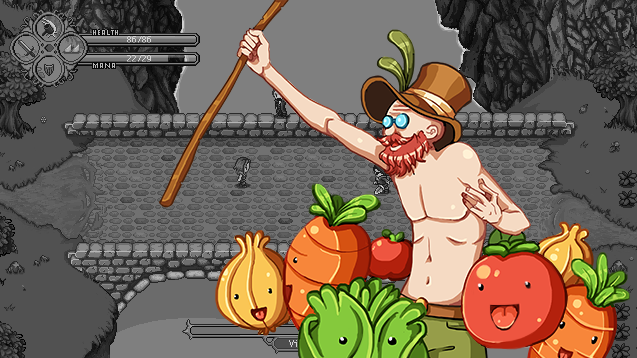 As for Fred’s progress: remember those vegetable enemies Fred made a while ago? Wouldn’t be much of an enemy if there’s no way for them to appear, or to defeat them, so of course each of them need a spawn and death animation. A few weeks ago we had a discussion about whether we’d include these in the frontline patch or not, since you’ve been waiting so long and this is “merely” part of a side quest relating to the desert. 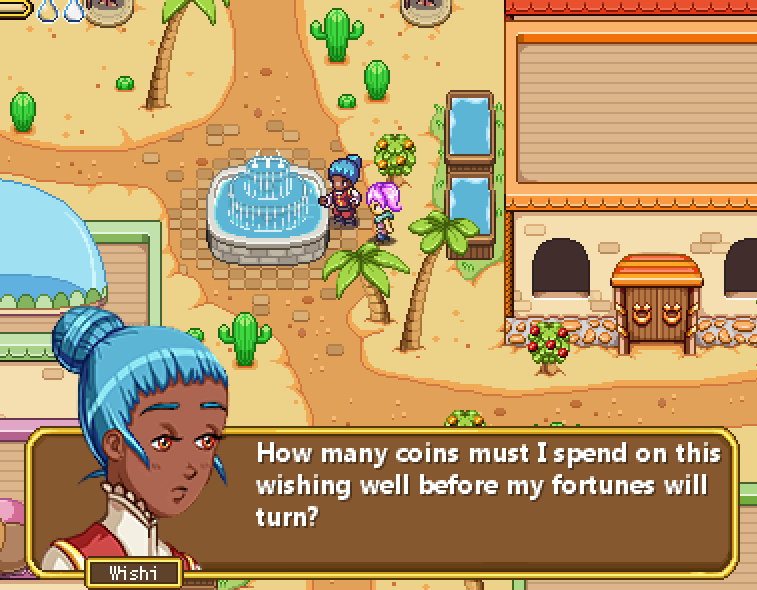 However, because of the desert taking so long, we decided it’s more fun to include a couple of these side quests as well, since they won’t take that much extra time to add (we already prepared the graphics anyway). 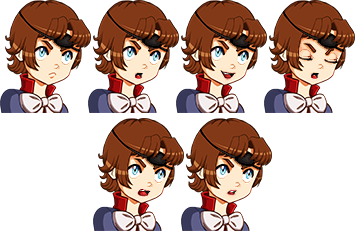 Our estimate is to have the patch up and running either late this week or in the beginning of the next, so unless something unforeseen happens, get ready to battle these cuties very soon! Alright, let’s get back to that ghost ship. It’s about time I started making a few backgrounds for the place, so to start things off I’m going to make the very first room of the dungeon! 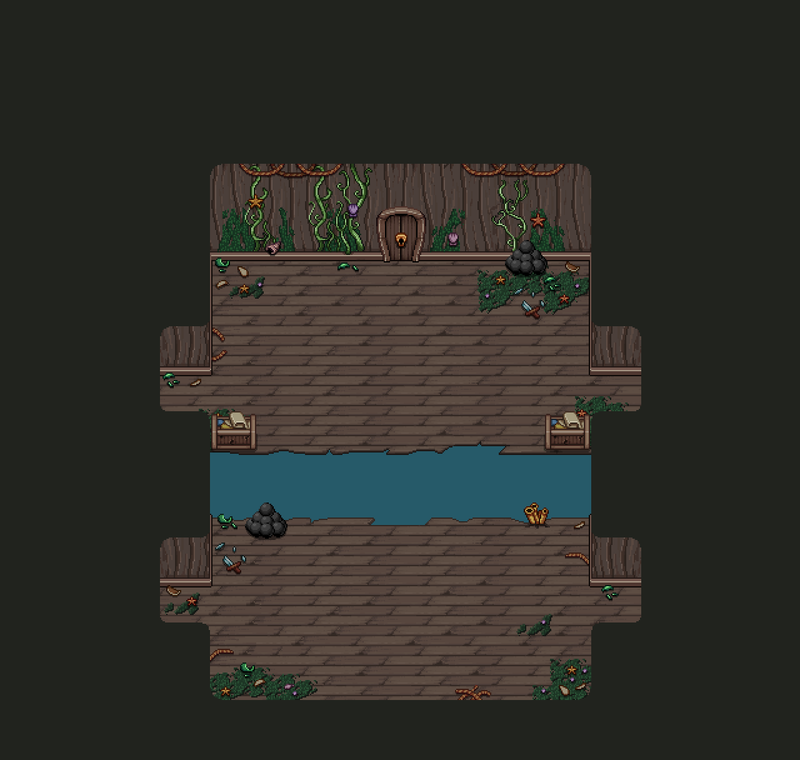 We have a pretty detailed sketch of what the first floor will look like, but as there are a couple of question marks in regards to sizing (there’s a boss battle and a puzzle that’s yet to be designed), this and one more room will be the only ones I’ll be able to make for this floor before heading on to the upper levels of the ship! The second room will be a fight room! 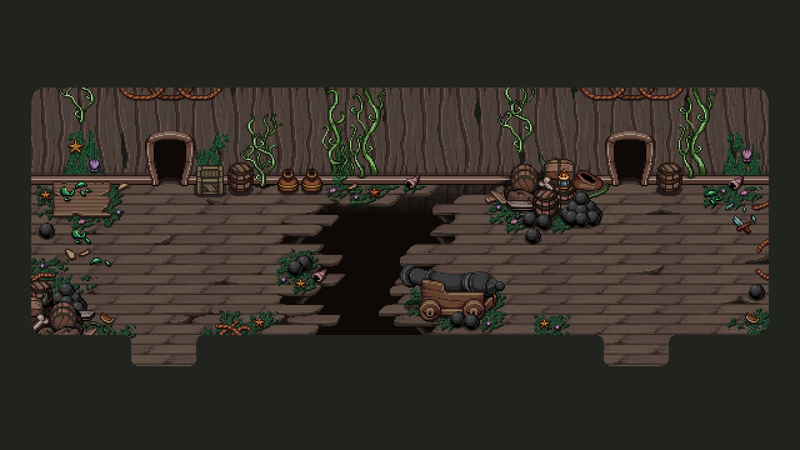 In other words, this is a room where you’ll battle a few of the ship’s enemies, and since it’s made just for that, the sizing isn’t hugely important – there will always be enemy setups that fit any sized room. 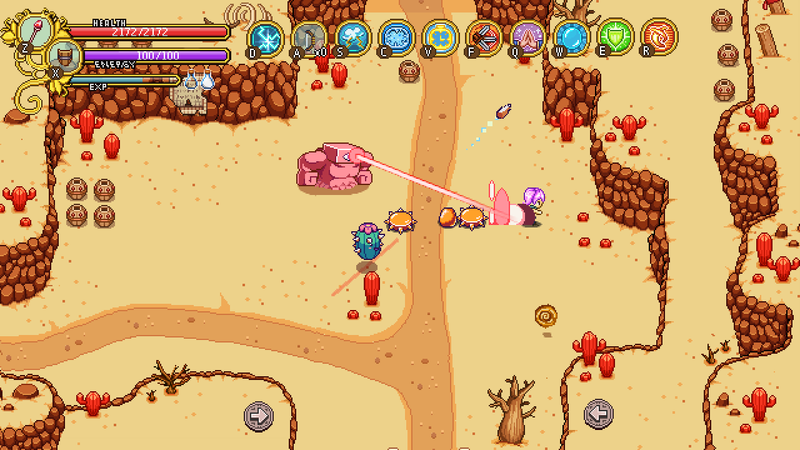 Once Fred finished his part of the desert, he’ll decorate the water and such as usual, so it’ll feel lively enough! The second portrait this week is that of a kid, living with her family in a hut in the desert. 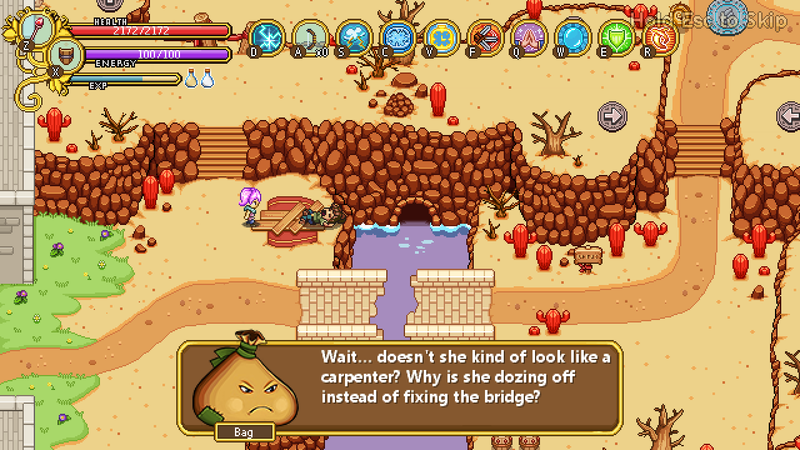 The family has a bit of an issue with growing vegetables (it’s extremely difficult in the heat of the Dragonbone Dunes! ), but luckily for her, her mother is an expert when it comes to growing carrots, which happens to be her favorite food. 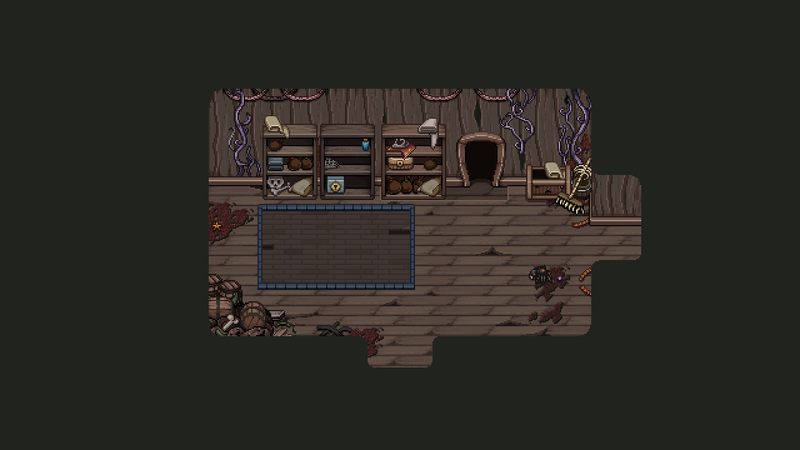 Since I moved on to doing more and more Ghost Ship stuff, I’m sure a lot of you are wondering where the patch is. The answer to that is that Teddy and Fred are busy finishing up the possibly most time consuming part of each new update: the polish and cutscenes! Each of these things have to be properly timed, have the right amount of effects (both in terms of animations and particle effects generated by the engine), and about a hundred other tweaks to make. 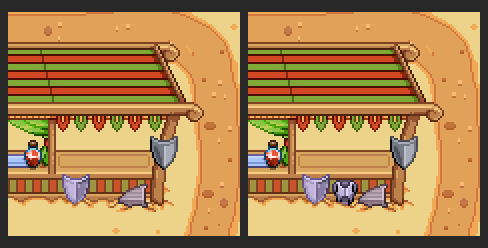 For the Sol-Gem spawning alone, we’ve gone through about four different versions before settling for the version you see above! Some might ask whether it’s worth all the time we spend on these details, but we’re all very convinced it is! 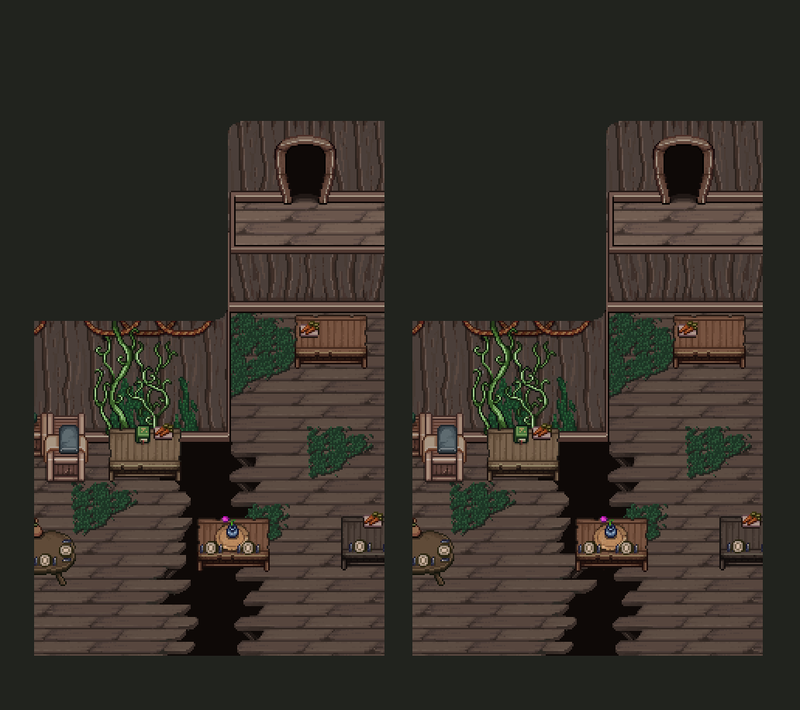 I’d say these last percentages of the progress are the ones that matter the most, as the timing of a couple of animations alone can be what changes something from feeling lackluster to feeling polished and thought through!